Interestingly, National Conference chairman Farooq Abdullah had, during the mega anti-BJP rally in Kolkata on Saturday, called the EVM the “chor machine” and demanded that the ballot paper system is brought back. With the Lok Sabha election 2019 round the corner, the claims of a US-based man who arranged an ‘EVM hackathon’ on Monday to “prove” that the electronic voting machines (EVMs) can be hacked have evoked strong reactions from different parties over the contentions put forward. Soon after the man, identified as Syed Shuja, addressed a press conference in London via Skype, the Election Commission of India (ECI) vehemently denied the claims of any possibility of tampering with the EVMs. 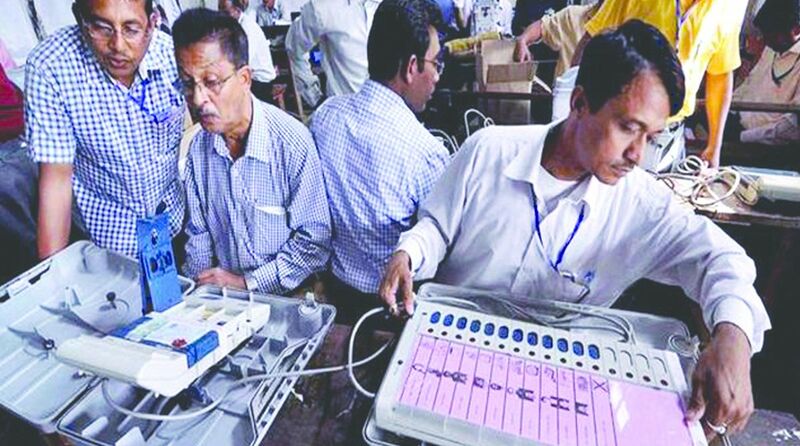 The Election Body said it was examining legal action against those trying to engage EC into “this motivated slugfest” adding that the EVMs were manufactured at the Bharat Electronics Limited (BEL) and the Electronics Corporation of India Limited (ECIL) under very strict supervisory and security conditions. There were rigorous Standard Operating Procedures meticulously observed at all stages under the supervision of a Committee of eminent technical experts constituted way back in 2010, the commission said. Syed Shuja had claimed that the BJP won 280-plus seats in the 2014 Lok Sabha elections as the EVMs were rigged in its favour. In a startling claim, he alleged that senior BJP leader Gopinath Munde, who died in a car crash on June 3 2014, a few days after joining Prime Minister Narendra Modi’s cabinet, was killed because he had learnt about the manipulation and was about to “expose” the EVM rigging. Following this claim, Dhananjay Munde, a member of the Nationalist Congress Party (NCP) and nephew of Gopinath Munde, has demanded a probe into the death of his uncle. “A cyber expert has made a sensational claim that former Union Minister Late Gopinathrao Munde saheb was murdered. This claim needs immediate attention and investigation from RAW/Supreme Court, as it is directly linked to the death of mass leader. Everybody who followed Munde saheb’s leadership and loved him had raised questions about his death. After today’s revelation, the doubt has been addressed. If the claim of EVM Hacking is true, then it also violate the norms of the biggest democracy of the world,” said Dhananjay, demanding that either the R&AW or a Supreme Court judge should conduct the probe. “I don’t have a criminal record and I demand a high-level inquiry. If I could tamper with EVM I would’ve been Telangana CM. 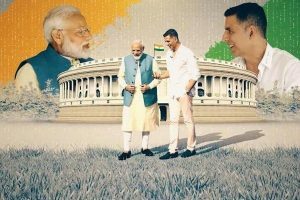 How did Congress win MP, Chhattisgarh, and Rajasthan if EVMs were tampered with? Congress leaders committed murders in Telangana and Andhra. I’m not like them,” said Reddy in response to Shuja’s claim that 11 members of this team were killed in Hyderabad when they went to meet a “BJP leader” to tell him that EVMs could be rigged. West Bengal Chief Minister Mamata Banerjee has said the Opposition would take up the issue with the Election Commission given Shuja’s claims that EVMs could be hacked. “Our great democracy must be protected. Every vote of yours is precious. All Oppn parties discussed the #EVM issue after the #UnitedIndiaAtBrigade rally. We are working closely together and decided on Jan 19 itself to consistently take up the matter with EC. Yes, every vote counts,” she tweeted.